Dr. Xiaohui Zhao graduated from the Nanjing University of Traditional Chinese Medicine and completed her residency program at the Harbor - UCLA Medical Center. She is specialized in Pathology and board certified in Anatomic Pathology & Clinical Pathology and in Hematology. 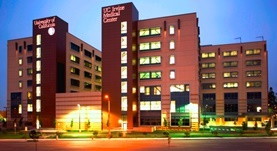 Dr. Zhao has been in practice for more than 20 years and is affiliated with the University of California, Irvine Medical Center. During her career, she has also contributed to 2 clinical research publications. Dr. Xiaohui Zhao has contributed to 2 publications. A comprehensive, multispecialty approach to an acute exacerbation of chronic central pain in a tetraplegic. Chang, E. Y.,Zhao, X.,Perret, D. M.,Luo, Z. D.,Liao, S. S.; Spinal Cord. 2014 Feb 12. Extranodal Marginal Zone Lymphoma Presenting within the Meckel Diverticulum as Diverticulitis: A Case Report. Nael, A.,Wu, M. L.,Rao, P. N.,Rezk, S.,Zhao, X.; Case Rep Pathol. 2014 May 29.